Immigration Lawyers at Murphy Desmond S.C. The immigration law practice group at Murphy Desmond provides outstanding legal representation to clients from around the world in all matters related to immigration. Unlike most immigration law practices, the immigration law team at Murphy Desmond has experience representing both individuals/families and employers in immigration matters. Our immigration attorneys offer bilingual immigration representation to individuals and companies in diverse areas of immigration law such as family-based petitions, employment-based petitions, waivers, nonimmigrant visas, labor certifications, citizenship, and removal/deportation defense. 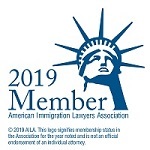 Through our affiliation with the American Immigration Lawyers' Association (AILA), we receive up-to-the-minute access to changes in immigration legislation, policy, and regulations -- allowing us to offer outstanding counsel to clients with a broad range of immigration legal services. For questions or to arrange a consultation regarding your immigration matters, please call (608) 270-5550 in Madison and Janesville, or (920) 882-1211 in the Fox Cities, or simply email us at infoimmigration@murphydesmond.com. The immigration lawyers at Murphy Desmond recognize that the outcome of our cases can change lives. 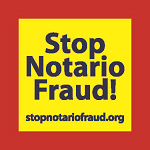 Therefore, we work efficiently to help our clients resolve their immigration matters. For questions and/or to arrange a consultation regarding your immigration matters, please call (608) 270-5550 in Madison or Janesville, or (920) 882-1211 in the Fox Cities, or send us an email at infoimmigration@murphydesmond.com. 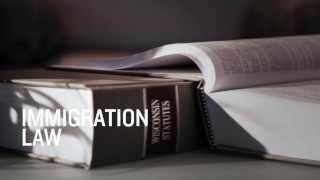 Our immigration attorneys believe that success in immigration law requires a creative approach to helping our clients achieve their goals, a commitment to high ethical standards, dedication to efficient completion of casework, and an understanding that building relationships based on trust with our clients helps ensure the approval of their cases. We are dedicated to upholding high ethical standards, be it in the representation of our clients, our communication with governmental agencies, or in our work in the community. We strive to exemplify an ethical professional practice and earn the trust of our clients through our experience in immigration law and our dedication to excellence. Since immigration matters often present obstacles to resolution that may not be apparent at first glance, the immigration law team at Murphy Desmond requires that all potential clients schedule an initial consultation with an immigration lawyer for a preliminary case assessment. We offer in-person and telephonic consultations by appointment. Potential clients should call our office at (608) 270-5550 in Madison and Janesville, or (920) 882-1211 in Appleton to discuss their case with a paralegal who will then set up an initial consultation with an attorney, if necessary. For questions or to arrange a consultation regarding your immigration matters, please call (608) 270-5550 in Madison or Janesville, or (920) 882-1211 in the Fox Valley, or email us at infoimmigration@murphydesmond.com.